After a six-month closure to complete a major renovation, Chiva-Som Hua Hin reopened its doors in November with enhanced offerings. Highlights include a new room category, the Thai Pavilion Suite which features a private outdoor glass-walled sala, and a specialised golf retreat, where golfers at all levels can opt for golf fitness training, golf biomechanics and enjoy post-game wellness treatments at the refurbished Niranlada Medi-Spa. 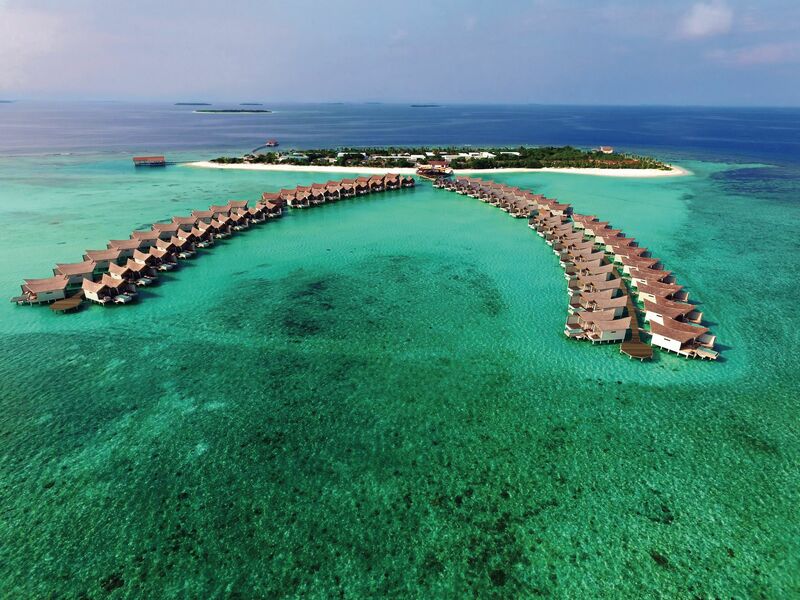 Noonu Atoll’s private island is now home to Movenpick Resort Kuredhivaru Maldives, Movenpick Hotels & Resorts’s first property in the Maldives. The luxury resort features a total of 105 villas, including 72 overwater pool villas, 30 beach pool suites and three exclusive beach spa pool residences ideal for small weddings and private gatherings of up to 20 guests. Built around an eco-friendly concept, the resort also plays host to four excellent dining outlets and onsite facilities—from a diving centre, tennis court, and water sports centre to a world-class spa—to keep guests entertained and relaxed. The ultra-luxury Rosewood Hotels & Resorts has announced its the launch of its second property in Italy in 2020, to be housed within the historic Palazzo Dona’ Giovannelli in the heart of Venice's Cannaregio neighbourhood. Destined to become a landmark, Rosewood Venice’s main entrance on Rio di Noale offers convenient access to the city’s beautiful canals and will feature two charming dining venues, including a piano bar. Designed by celebrated Italian architect and designer Piero Lissoni, The Middle House’s 66-square-metre Penthouse embodies the concept of intimate luxury with its modernist aesthetic combining Italian and Chinese elements. Highlight features include an inviting living room, spacious master bedroom, outdoor terraces and a private function area that can be transformed into a sophisticated venue for events of all sizes, whether it’s intimate soirees, gala dinners or cocktail parties. InterContinental’s 200th hotel, Shanghai Wonderland, was opened in November and is located in a truly unique location— inside a formerly abandoned quarry, precisely. Taking a decade to complete, the one-of-a-kind, subterranean hotel descends 88 metres underground, featuring two floors above ground and 16 below ground, including two floors underwater, where bedrooms are encased within an awe-inspiring aquarium where guests can watch schools of fish swim by. Just opened in November and located on the highly sought-after Arossim beach in Cansaulim, South Goa, ITC Grand Goa is The Luxury Collection’s 13th property in India. Inspired by the region's Indo-Portuguese heritage, the 252-room luxury resort boasts a village-styled architecture and offers six signature dining experiences that showcase the two cultures’ distinct influence in Goan cuisine. Designed by Hong Kong-based design firm AB Concept and led by Ed Ng and Terence Ngan, W Xi’an marks the largest W hotel in the Asia Pacific region. The architect of the 80,000 square-meter hotel is as visually striking as it is futuristic, standing tall in Xi'an, once the capital of five Chinese ancient dynasties. Newly opened in November, W Xi’an is recognised by LED lights, abstract shapes and eye-catching colours, with strong futuristic elements that revives the city’s history.